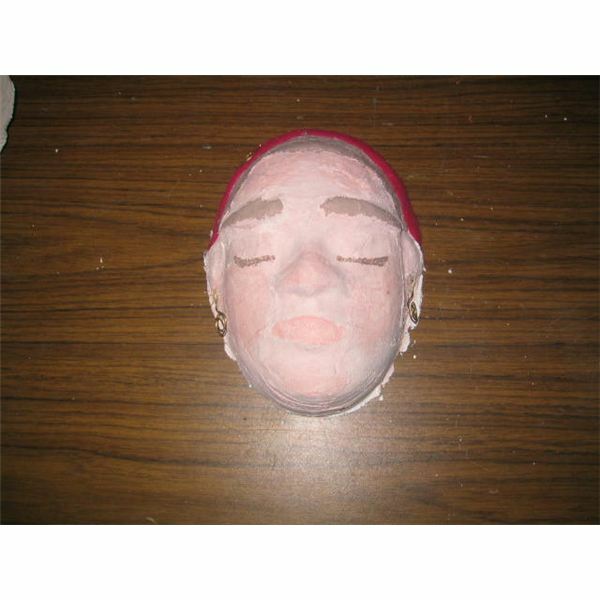 Students who have learned how to draw and paint realistic human faces will have fun with this plaster face mask making lesson. Materials and procedures are simple to follow. Painting techniques from the article on painting human faces can be applied. Ways to make a realistic human face in this lesson are easy to do. 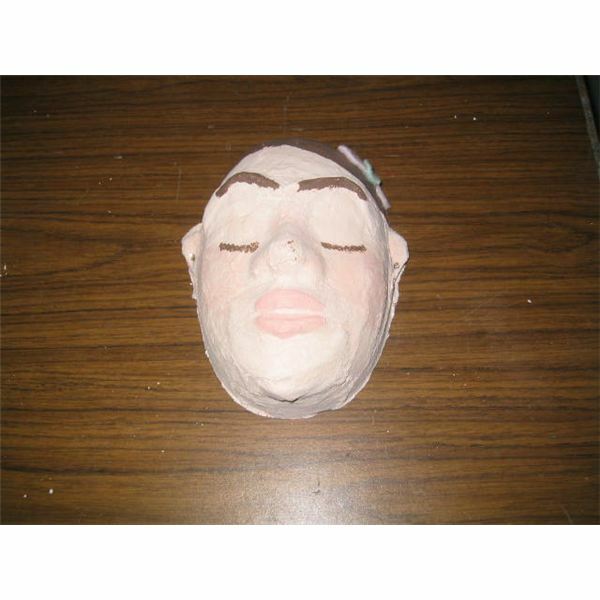 Your 7th grade art students will really enjoy this plaster art project. 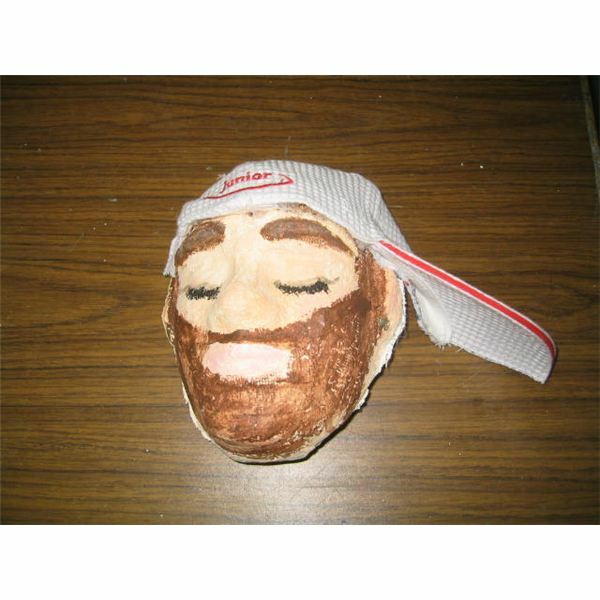 Accessories – yarn, doll hair, earrings, wire, nose rings, fur, felt, false eyelashes, etc. Cut roll of gypsum into bandage sized pieces. Cut newspaper to same size if using newspaper and paper mache (glue/flour mixture). Label the inside of the plastic molds with tape write student's name on it. 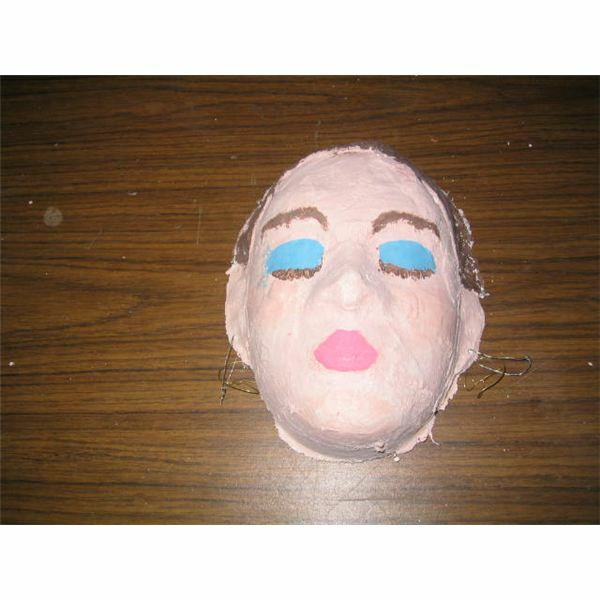 Using a plastic mask mold, cover in Vaseline so the plaster will not stick to it when dry. 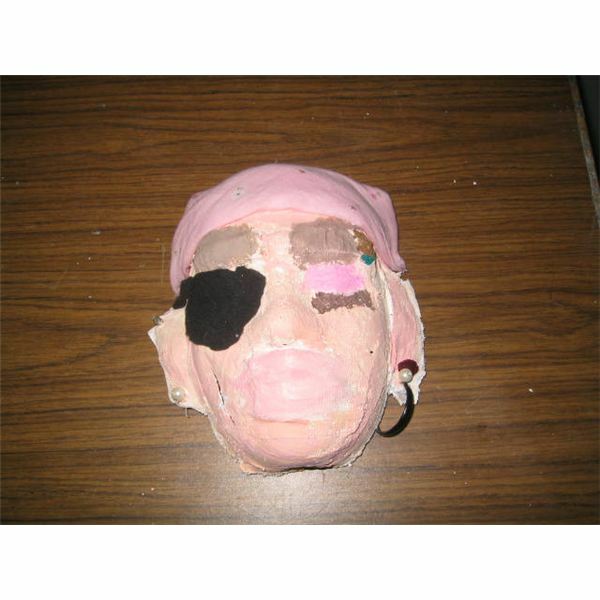 Apply 1 layer of paper mache or gysum to mask by dipping in the water or glue mixture, pressing onto mask and smoothing the paste with fingers. For the second layer, use newspaper pieces rolled into balls or rings to build up eyebrows, lips, cheekbones, ears, moles, bumps or scars on the face. Create rolls of paper for lip or eyebrow rings, ringlets in hair, mustaches, beards or other facial features. 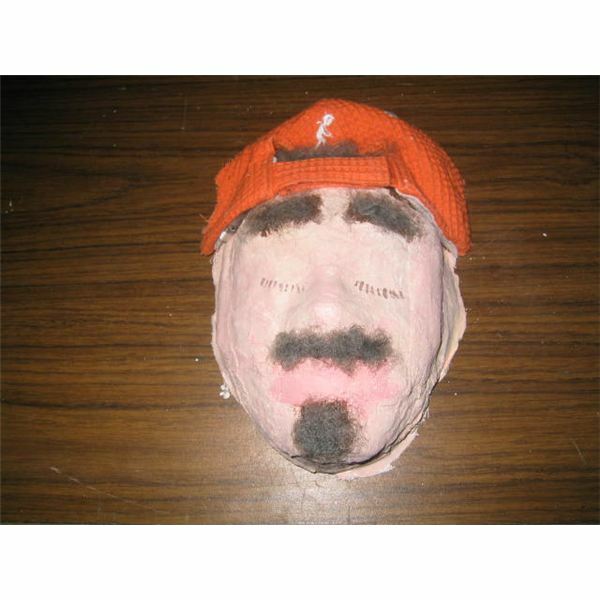 Cover the newspaper with the plaster strip or paper mache mixture so that it adheres to the mask. Top with a final layer of gypsum pieces to hold down the extra lumps and bumps. Be sure to make ears if they are not on the mask mold as it makes the plaster face mask look more human. Set aside to dry. When their plaster face mask is dry, remove from the mold and relabel the inside. Mix a paint color for skin from white with a bit of red and yellow to create a peachy color. Brown can be added to get different skin tones. Paint the entire surface of the mask. Eyes are difficult to paint so it is a good idea to paint over the eyelids with skin color. Add more red to this color. Paint on cheeks, chin and lips as if brushing on makeup. Use a drier brush to create this effect. Mix a brownish color by adding white and yellow to brown paint. Use this color to paint in the hair. Paint eyebrows in small strokes with the same color. Paint in the direction that the hair grows. Paint in eyelashes with a small brush. Remind students that people will be attracted to the dark colors against the skin tones, so try not to use black for eyelashes and brows. Paint in any other facial hair such as sideburns, mustaches, beards etc. Other colors such as blue for eye makeup, red for bruises and blemishes, colorful hairbands and hair accessories can be painted in. Rings should be painted with a gold or silver color if available. Once paint is dry, students can then use the glue guns to add on accessories. Hair is the most essential. Glue on doll hair, yarn, old wigs or fur for hair. Glue hair in layers so it does not lie flat on the head, especially when using felt or cloth. 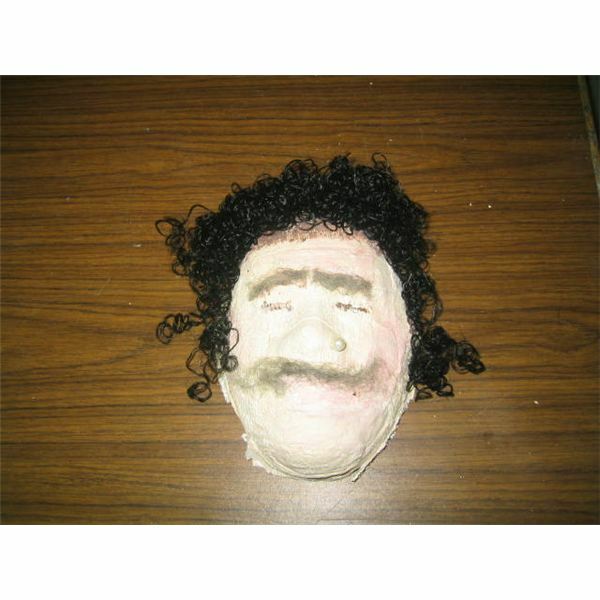 Try to use realistic colors and glue on top of the mask where hair would grow. Remember to create bangs and hair inside the cheekline by the ears. Also glue on any earrings, nose rings or jewelry where needed. Apply bandages, bandanas, caps, sunglasses or any other accessories which makes the masks look like a realistic human face. Have students bring these materials from home to be cut apart. Flat barretts and hair clips can be glued on to the hair. Use wire for glasses or earrings. Students may want to make jewelry out of recycled materials. See the article: Recycled Art Project: Pop Cans Art Project for pop can hats, purses, and jewelry ideas. Students can glue on old sunglasses to cover eyes if they have tried to paint in eyes. 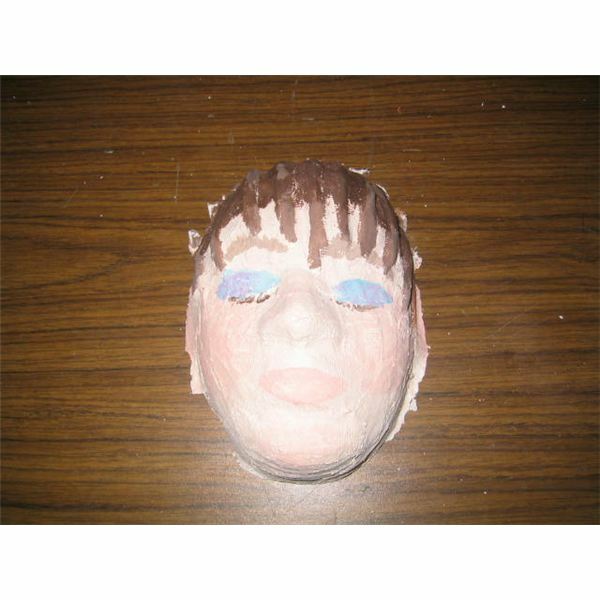 These are difficult to paint on the plaster mask surface and the bright acrylic paint usually takes away from the realism of the face painting. They can also be used to prop up the mask. Since the eyes are painted closed, try to lay the masks or prop them against something in the display so that observers look down on them. It adds to the effect that they are resting. The title for the display could be “Realistic Resting Faces" or “The Faces of Mankind" or simply “Human Faces". 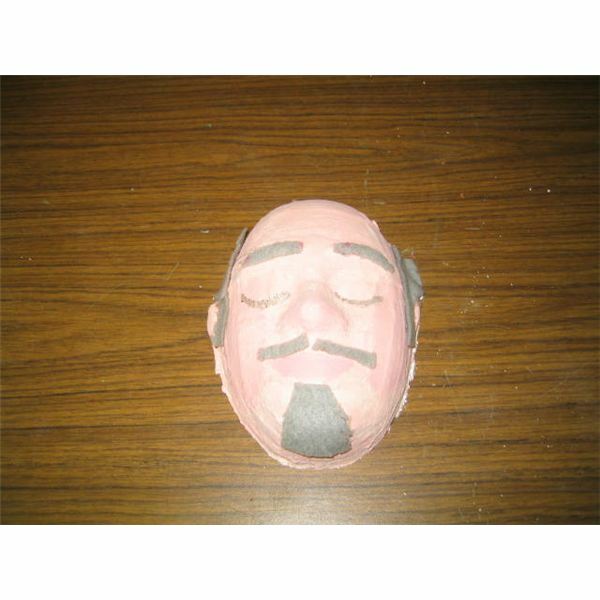 Your 7th grade students will enjoy seeing a realistic human face created from this plaster mask art project and their painting skills. It is more fun for them to try this after they have made attempts at creating faces using other mediums.